04.01.19 10:57	Receive	Received Payment 12.39 USD from account U2836474 to account U14997830. Batch: 241674328. Memo: API Payment. Withdraw to InfernusZp from allhourspay.com. 04.01.19 12:51	Receive	Received Payment 1.08 USD from account U2836474 to account U14997830. Batch: 241683945. Memo: API Payment. Withdraw to InfernusZp from allhourspay.com. 04.01.19 21:35	Receive	Received Payment 4.85 USD from account U2836474 to account U14997830. Batch: 241729057. Memo: API Payment. Withdraw to InfernusZp from allhourspay.com. 05.01.19 06:02	Receive	Received Payment 4.31 USD from account U2836474 to account U14997830. Batch: 241746281. Memo: API Payment. Withdraw to InfernusZp from allhourspay.com. 05.01.19 13:51	Receive	Received Payment 4.32 USD from account U2836474 to account U14997830. Batch: 241782042. Memo: API Payment. Withdraw to InfernusZp from allhourspay.com. 05.01.19 19:56	Receive	Received Payment 3.23 USD from account U2836474 to account U14997830. Batch: 241811969. Memo: API Payment. Withdraw to InfernusZp from allhourspay.com. 05.01.19 23:51	Receive	Received Payment 2.16 USD from account U2836474 to account U14997830. Batch: 241823365. Memo: API Payment. 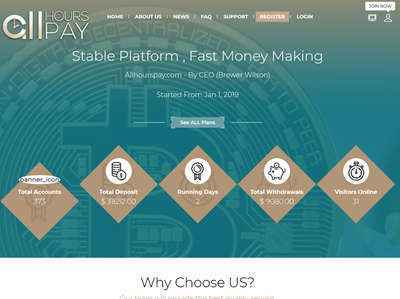 Withdraw to InfernusZp from allhourspay.com. 06.01.19 05:06	Receive	Received Payment 2.69 USD from account U2836474 to account U14997830. Batch: 241832292. Memo: API Payment. Withdraw to InfernusZp from allhourspay.com. 06.01.19 13:02	Receive	Received Payment 4.31 USD from account U2836474 to account U14997830. Batch: 241864396. Memo: API Payment. Withdraw to InfernusZp from allhourspay.com. 06.01.19 18:36	Receive	Received Payment 1.62 USD from account U2836474 to account U14997830. Batch: 241892996. Memo: API Payment. Withdraw to InfernusZp from allhourspay.com. 07.01.19 12:12	Receive	Received Payment 3.23 USD from account U2836474 to account U14997830. Batch: 241953080. Memo: API Payment. Withdraw to InfernusZp from allhourspay.com. 07.01.19 05:46	Receive	Received Payment 5.93 USD from account U2836474 to account U14997830. Batch: 241921676. Memo: API Payment. Withdraw to InfernusZp from allhourspay.com. Received Payment 0.55 USD from account U2836474 to account U1204062. Memo: API Payment. Withdraw to gold-lister from allhourspay.com. Received Payment 0.1 USD from account U2836474 to account U1204062.